Welcome to Burning Ambulance’s annual rundown of the best jazz albums of the year. As we did last year, we’ll be listing five albums per day. Let’s get started! 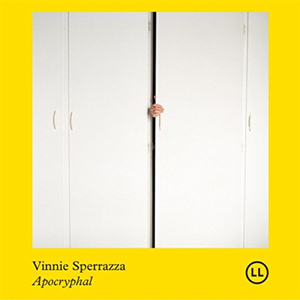 Drummer Sperrazza made his debut as a leader on this album, joined by alto saxophonist Loren Stillman, guitarist Brandon Seabrook, and bassist Eivind Opsvik. Seabrook’s metallic, slightly noisy sound is the disc’s secret weapon; Stillman’s saxophone seems to float on a cloud, while Opsvik, who also produced, has an organic, almost Charlie Haden-like tone. The unison horn-guitar lines that launch pieces like “Plainchant,” and the way Seabrook’s guitar solos warp the air, making it shimmer like heat off summer asphalt, can recall Ben Monder’s work in Jerome Sabbagh’s quartet—a very good thing. Apocryphal is modern without being showy about “newness”; it’s as concerned with feel as melody. It works as a collection of tonally similar pieces, or as a complete work to be heard front to back. And with only six songs, and a running time of just 38 minutes, it’s easy to give it the attention it deserves. Saxophonist Rodrigo Amado’s Motion Trio, with cellist Miguel Mira and drummer Gabriel Ferrandini, launched in 2009. 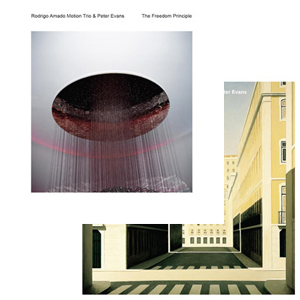 Live in Lisbon, taped March 16 of last year, and The Freedom Principle, a studio date from two days later, find the trio hosting trumpeter Peter Evans. Live in Lisbon, a limited edition LP, offers two side-long tracks in slightly under 40 minutes; it’s got an appealing, raucous joy. The Freedom Principle, recorded two days later in the studio, is a more subdued effort. Pianoless quartet free playing is frequently heavily indebted to Ornette Coleman, but the resonant antecedents here are Sonny Rollins and Don Cherry on the saxophonist’s Our Man in Jazz album, or Daniel Carter and the late Roy Campbell with Other Dimensions In Music. And thrilling as the rhythm section’s playing often is, much of the music on The Freedom Principle could have been just as satisfying cast as Amado-Evans duets. 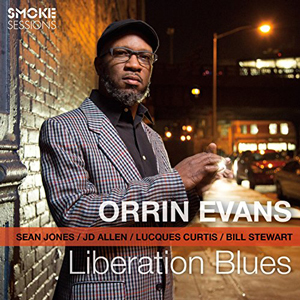 This live release from pianist Orrin Evans finds him leading trumpeter Sean Jones, saxophonist JD Allen, bassist Lucques Curtis, and drummer Bill Stewart at the uptown NYC club Smoke. It kicks off with a five-part, 32-minute tribute to Dwayne Burno that includes some of the late bassist’s compositions, and a poem, which Evans reads. The music is mostly hard-swinging and bluesy; Allen abandons the concision of his trio albums for a classicist hard bop approach, taking lengthy solos full of thick, muscular phrases, and his tone has a sharp, metallic edge. Jones’ trumpet tone is equally rich and full, with plenty of impressively speedy runs and piercing high notes. 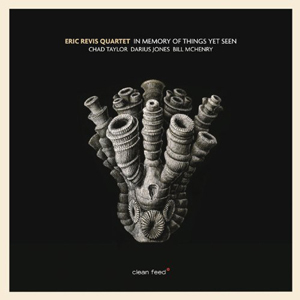 On the album’s final three tracks, though, Evans and the rhythm section delve into standards, including Miles Davis’s longtime set-closer, “The Theme,” and ending with a take on “The Night Has a Thousand Eyes” with sensitive guest vocals from Joanna Pascale. Bassist Eric Revis has been the anchor point of some really impressive bands in recent years: saxophonist Bill McHenry‘s quartet with pianist Orrin Evans and drummer Andrew Cyrille, as heard on last year’s La Peur du Vide; Branford Marsalis‘s long-running quartet; and the collective trio Tarbaby, with Evans and drummer Nasheet Waits. On this album, McHenry plays tenor, Darius Jones (who Tarbaby backed on a Canadian tour) plays alto, and Chad Taylor is the drummer—Marsalis guests on two tracks. The music shifts through a variety of moods; it can be fierce and unrelenting, as on “Hits,” where McHenry and Jones push each other farther and farther out before coming together for a unison conclusion that feels both surprising and well-earned. But “Unknown” and “Freeb,” the tracks featuring Marsalis, are lighter in spirit—even when the latter becomes cacophonous, it seems to skip along rather than stomp around grimacing. 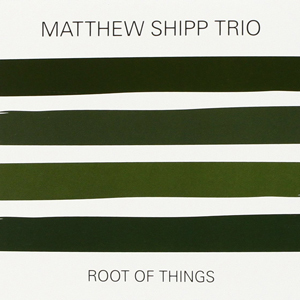 Pianist Matthew Shipp has been working with the Thirsty Ear label for 15 years now—18 releases in all to date—but he’s also continued to put out music on other imprints with surprising frequency, including this trio disc featuring his long-standing trio of bassist Michael Bisio and drummer Whit Dickey. Shipp’s music has gotten slower and more meditative over time, but it’s a muscular sort of meditativeness, more like a patient prison-yard weight-lifting session than an hour spent sitting on a mat contemplating the universe. There’s a coiled energy present at all times, no matter how slow the rhythm or how ornamental the melodies may be. Here, he avoids the doom-haunted, liturgical feel (seemingly almost rooted in medieval Christianity, rather than the mysticism Shipp frequently professes as a musical and life influence) of his solo work, instead spinning out elaborate webs of notes, then dancing along the strands.